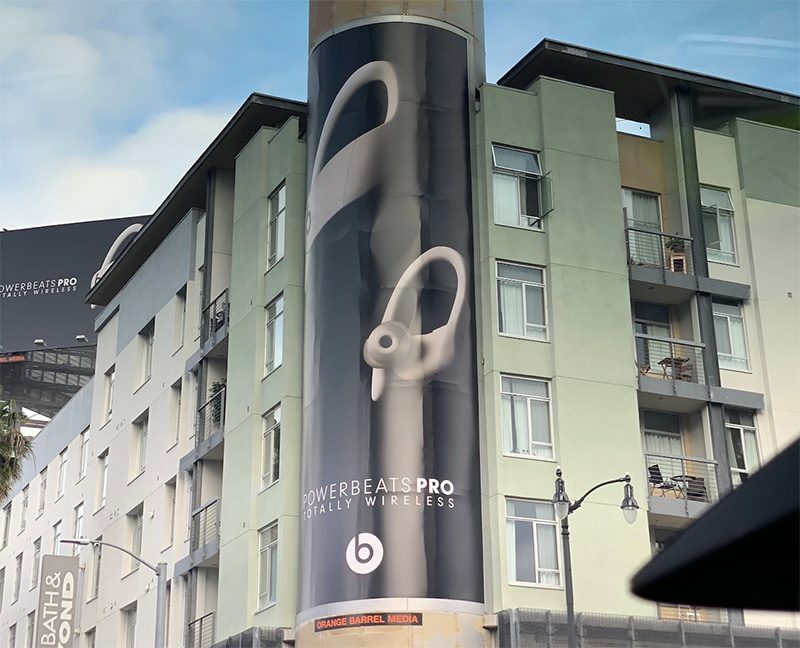 Apple has started marketing its Powerbeats Pro earphones ahead of their upcoming release with a pair of ads in Hollywood. A banner ad and nearby billboard reveal that the Powerbeats Pro will be "totally wireless," as expected, making them the first cord-free Beats earphones like AirPods. 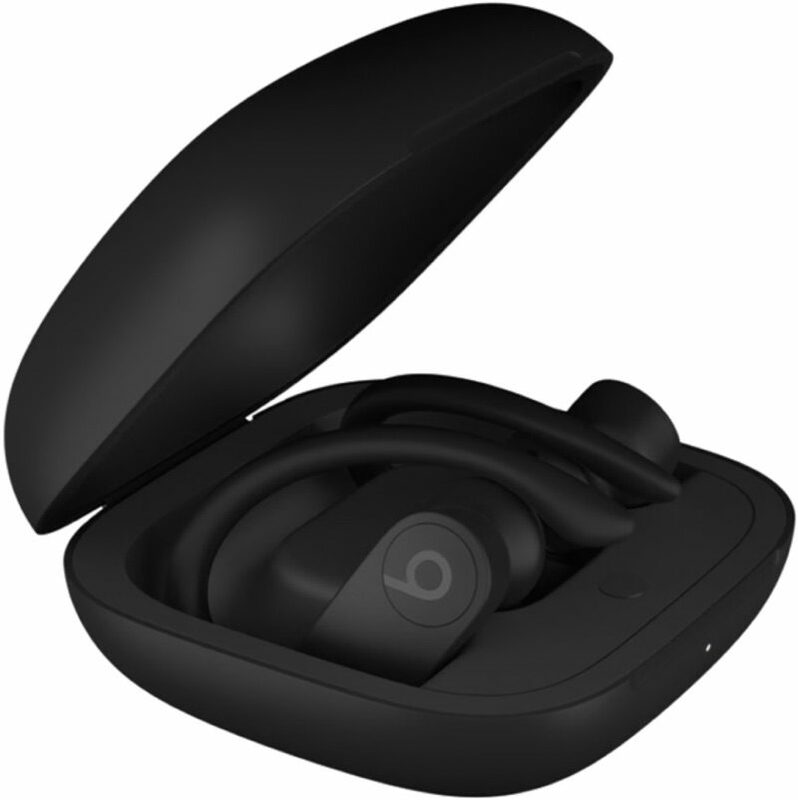 A photo of the ad was tipped to 9to5Mac, which earlier uncovered an image of the Powerbeats Pro and their charging case hidden in iOS 12.2 code. CNET was first to report on Apple's plans to release cord-free Powerbeats, which will essentially be fitness-oriented AirPods, ideal for the gym, sports, running, and so forth. The website said the new Powerbeats will launch in April, and Apple's ads in Hollywood apparently confirm they are "coming soon." CNET also said the Powerbeats Pro will likely use the same H1 chip as the second-generation AirPods, potentially enabling "Hey Siri" support along with faster switching between source devices like the iPhone, iPad, and Apple Watch. It appears the Powerbeats Pro will be available in both black and white, but pricing remains to be seen. AirPods start at $159, while Powerbeats3 Wireless with a cord between each earbud are regularly $199.95 in the United States. Are they sure they will be released? A banner ad and nearby billboard reveal that the Powerbeats Pro will be "truly wireless,"
no, it doesn‘t. try reading the claim with both eyes open. I like the ear loops. I'm always afraid I'll lose airpods, so I've avoided buying them. But these are a definite maybe. I'm definitely going to buy a pair of these. Same here, I've been waiting for the longest to upgrade my 3's and prayed they would come out with truly wireless Powerbeats. You've actually been praying for this? These look great. I use the powerbeats 3 for workouts and always wanted them to be wireless.